Join the William Langs Stamps for the U.S. Specialist mailing list. KEEP UP TO DATE ON ALL OF OUR OFFERINGS! To join our email list, just submit your email address at the top of the page. Press Sheets! We have them all in stock. Including the Sold-Out Trans-Mississippi Press sheet. Click for the most complete Major Error list in the country! 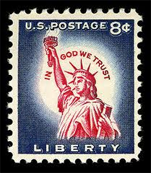 We are the most active buyer in America of great United States material...from Essays & Proofs and Major Errors to fine rare stamps and large holdings of mint postage. (201) 262-5220. Or just send me an email. We are paying Top Dollar for your unwanted Postage. View the Postage Want/Buy List now. America's #1 source for TOP Quality Essays, Proofs Rare Stamps & Errors Bill Langs has been an APS member for over 30 years. He is an expert on US stamps, US Essays and Proofs, and US Errors and Varieties. 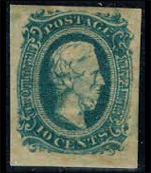 He has a full range inventory of United States Stamps, Errors and Varieties, Proofs and Essays, Stationary, and Revenues for the Specialized Collector. Each and every week, Bill offers a wide selection of these collecting areas on ebay. Additional material can also be found in his Ebay store. Bill attends most of the major stamp shows accross the United States. He sets up a booth at all of the APS stamp shows. You may email him and ask when he will personally be in your area.